I'm still unsure how the past year has flown by so quickly, but it seems the older you get the faster they seem to go. I just wanted to take the opportunity to wish you all a wonderful New Year, and hope all your wishes come true in 2012. 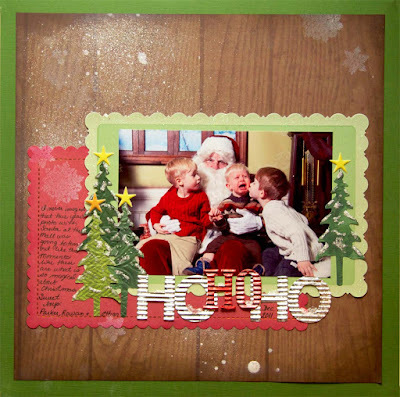 I'll leave you with my last project made with the December little boy kit from Boys Rule Scrapbook kits. I had this story jotted down on a piece of scrap paper since summer of last year. I thought I'd better make a quick page before I threw it out by accident. It felt amazing to use up every last sticker from the sticker sheets to make the fun border around the page. 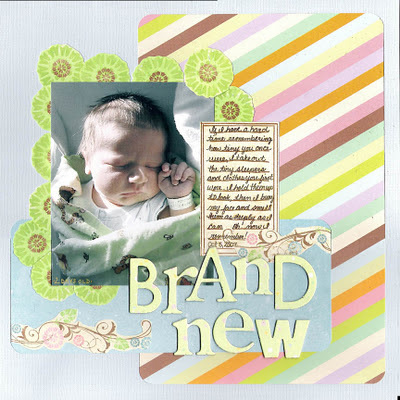 I added some of the fun Jillibean Twine that was also in the kit, and used the Doodlebug Design Inc. stickers with a few from my stash. I love how the Hopscotch font blends so well with others. 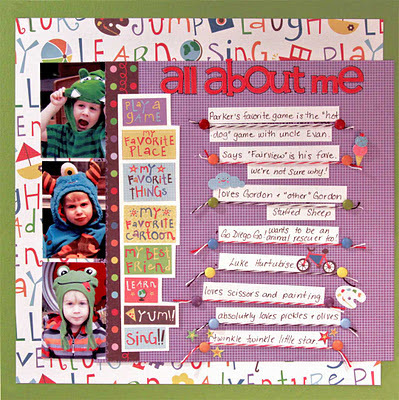 If you are scrapbooking boys, big or little, you should really check out the kits available! I've never subscribed to a kit club before, because I was afraid of how much feminine product I'd receive and never be able to use. This might just be the answer. I'm enjoying the tail end of our Christmas holidays. With the boys out of preschool, and the hubby home until after the new year, things are still pretty busy, and crafty time is at an all time low. Not having creative time is made even more frustrating by the unused pile of scrappy supplies my boys spoiled me with for Christmas and my birthday. The New Year is fast approaching, and i'm throwing a few ideas for crafting related resolutions around in my head. If I ever decide on one, I'll let you know. I'm also open to hear if anyone else has some cool resolutions that'll help use up supplies, curb spending or boost creativity. On that note, I'll leave you with a simple layout of my sweeties, and one of our new furry love. Life with 3 boys under 5, and a gargantuan puppy has it's crazy moments, but I can't help feeling totally blessed to be leading this life. Here's my second layout made using the December Little Boy Kit from Boys Rule Scrapbooking. There are 3 packs of K&Co stickers from the Spaghetti line in this kit. I used the Embossed stickers as journaling prompts, and the Grand Sdhesions and Mini Accents as images to embellish the responses. The Jillibean Soup Beanstalks Bakers Twine was a fun way to separate each response. 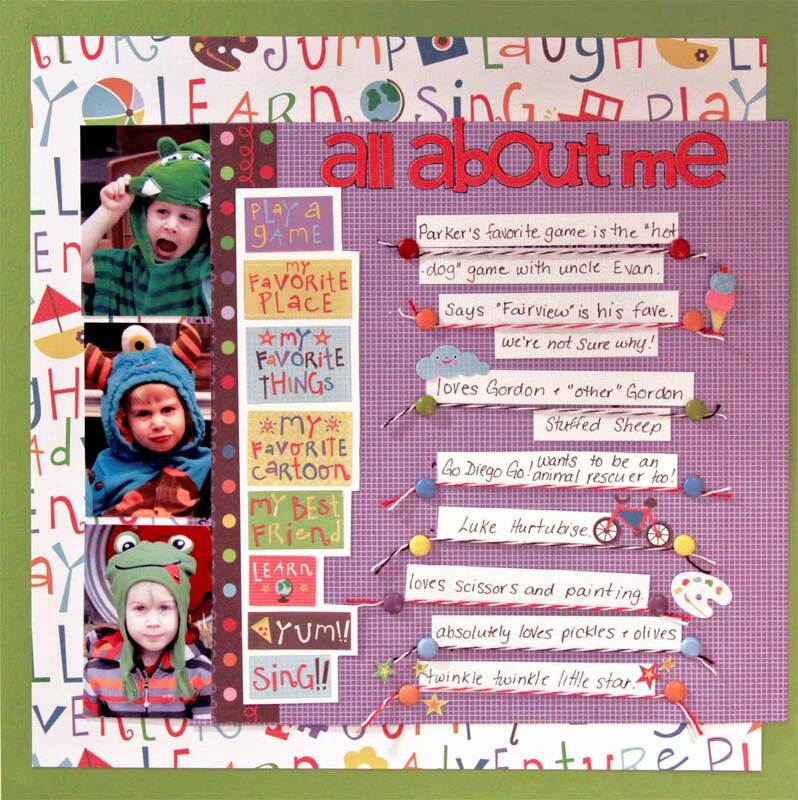 Please excuse the 5 year old layout, I was very new to scrapbooking at the time, and my only saving grace was that it was based on a sketch by the very talented Ann Kosten. 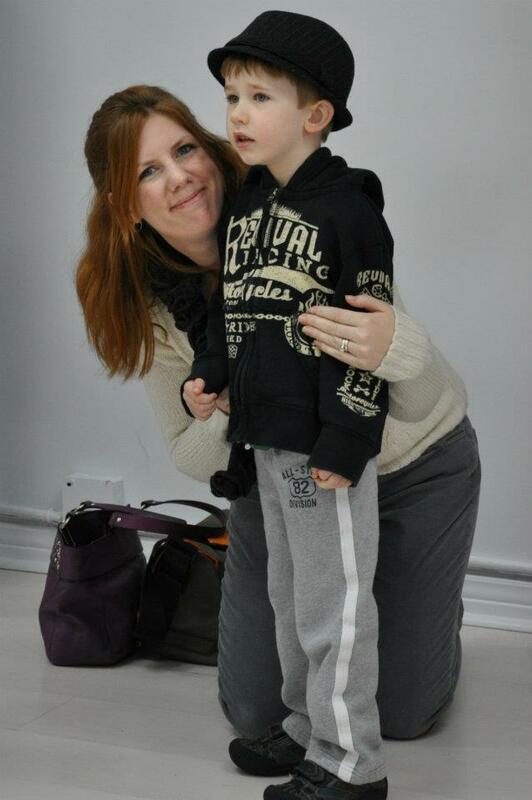 This was the day I became a Mom. A roller coaster of emotion. One of the defining moments of my life...but if you're a mom, you know what I'm talking about. I can't believe it's been 5 years since I held this tiny baby in my arms for the first time; and if the layout wasn't so darn dated, I would have thought it was only yesterday! 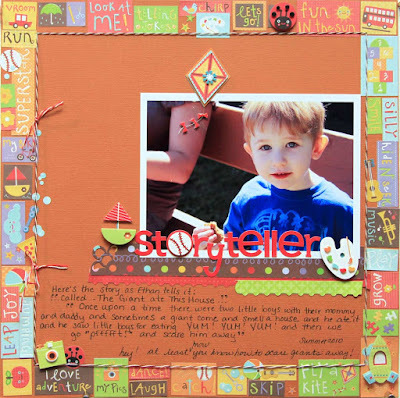 If you know how much I love bright fun papers, you'll understand how happy I was to be working with the little boy December kit as a guest designer for Boys Rule Scrapbook Kits. 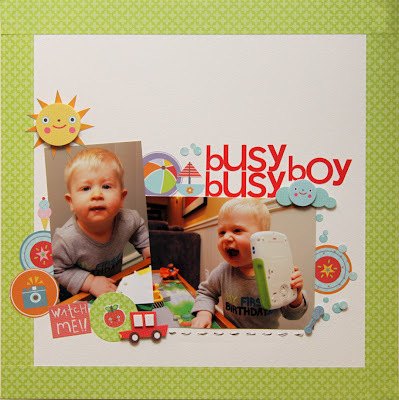 This kit is bright and has super cute images perfect for toddlers right through to young school age children. With 3 boys under 5, this kit is perfect for multiple pages of my guys. If you're looking for some great boy themed kits, I suggest you check these out, but hurry, the big boy kit for December has already sold out! 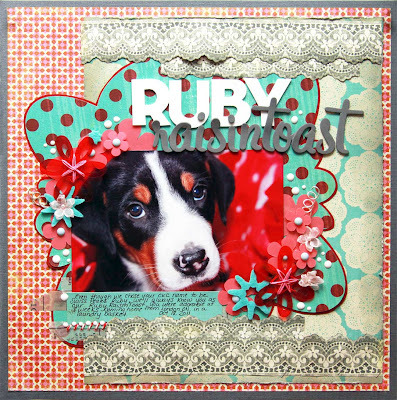 Here's my first page; check back for more creations using this fun kit!